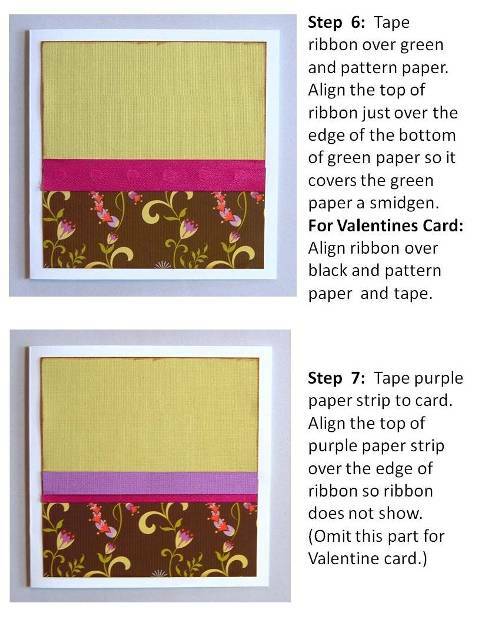 Choose from many homemade Valentine card ideas to create lovely Valentines. Use heart punches, stickers and fun paper to create beautiful handmade cards. 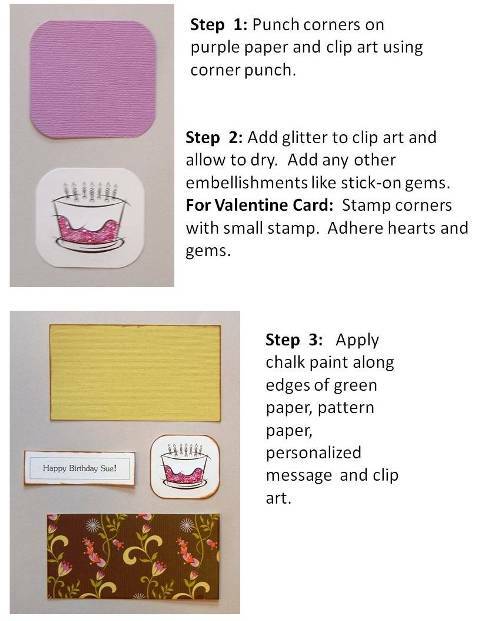 Valentines day cards can be created from using a heart punch to create a graphical embellishment. I wanted to take advantage of using my heart craft punch as much as possible for my Valentine card idea so I was determined to create an embellishment with it. 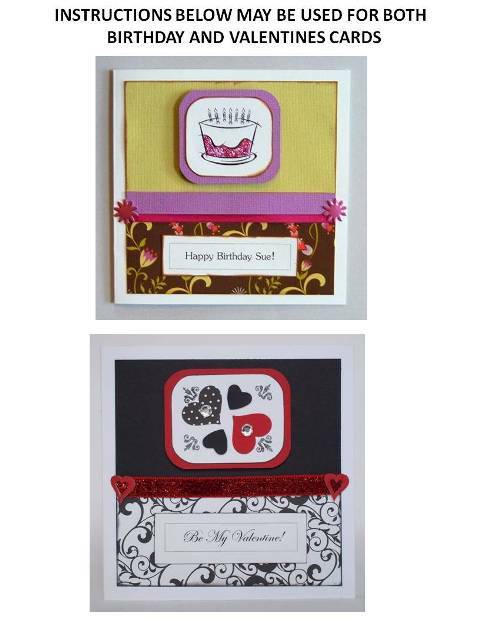 Using an existing card design, I was able to switch out the birthday clip art and created a heart feature by combining two different heart sizes and arranging them unevenly in a rectangular shape. I created an interesting embellishment, which ending up costing a few cents, by using two heart punches, adhesive gems, scrap pieces of paper and a small stamp. Here's another Valentine card idea using the same heart punch as the card above. I also used a couple of other punches. I used a scallop border punch to make the right borders in pink and blue paper. I also applied chalk ink on the scallop side of the border. Along the corners of the cream paper, I used my 1/2" corner punch. 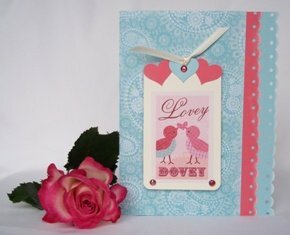 I used the colors from the love dovey bird print as the coordinating colors for this card. I found a blue and white scrapbook pattern paper which served as a nice background for the card. 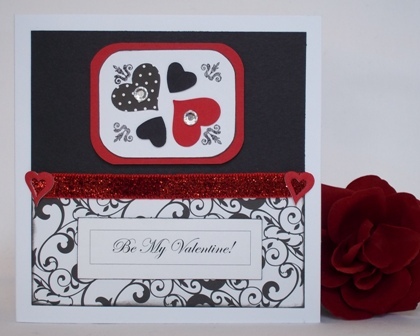 The Valentines day card is embellished with red adhesive gems and a cream satin ribbon. Another example of a handmade Valentine card idea using the same heart punch as above is this card. 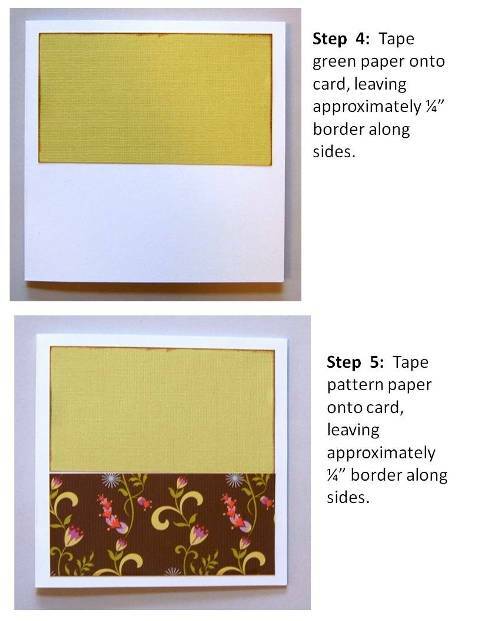 I punched out 4 hearts from 2 solid colors and 2 different paper pattern prints and arranged them inside a white box. 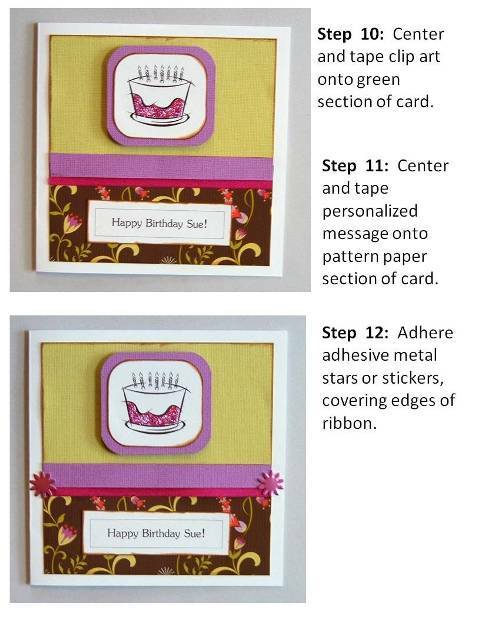 This card is made of different layers to add a lot of movement and interest to the card. 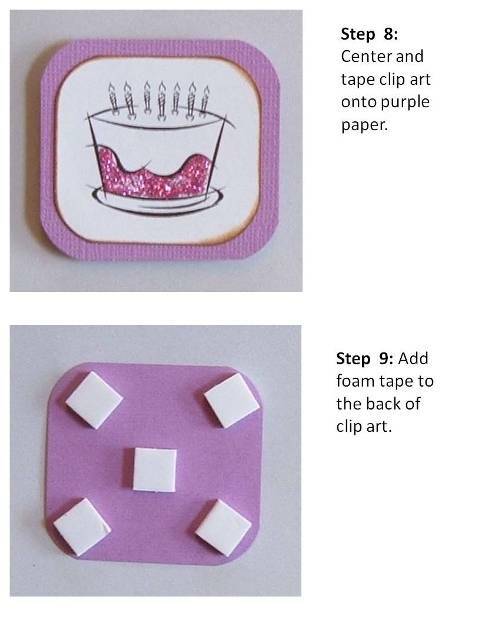 To help embellish it, I used gingham ribbon, small adhesive gems and purple glittery brads.